LeaseEagle solves the problem of managing outdated, outgrown and unreliable information. The implementation of LeaseEagle can be flexible to suit the Customer’s requirements, size of organization and resource availability. Implementations can be self-managed by a Customer, fully managed by our Client Services Team or a combination of both. An implementation can initially be limited to include just the core database system, allowing optional modules to be added on down the track, or can be extended to include end-to-end systems integrations and/or workflow changes. It is always a case of what’s best for the Customer. Like any information system, an effective LeaseEagle implementation will always rely on the quality of data. The decision on how to deploy data is typically the first one a Customer needs to make. Where a Customer is confident with the integrity of their data then the process can be very straightforward, using our proprietary data importing tools. Commonly though the implementation of LeaseEagle is also the opportunity to ‘once and for all’ make sure that location and lease data is complete and correct. As a result, Customers can commission an Audit and Abstraction project through our in-house Data Services Team. Using standard templates, data can be imported from spreadsheets or legacy systems to reduce customer implementation time. LeaseEagle Data Services can complete an Audit & Abstraction of your data and source documents to validate information and underwrite the value of the system. Not all business’ needs are the same. 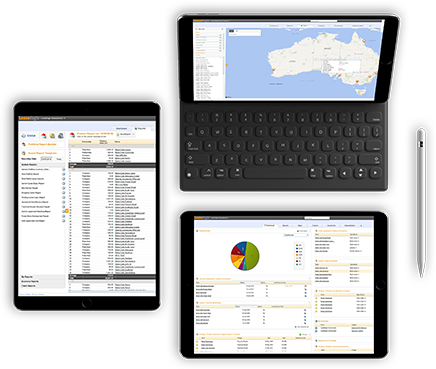 Experience a customised lease management software solution with optional plug-in modules that can be added to the LeaseEagle core system to create even greater value for your organisation. Explore the features below to discover how LeaseEagle can be extended to optimise the management of your leasehold real estate portfolio. Portfolio management is about more than just leases – centralise location data for faster and more reliable access to critical business information. Learn More. Overpayments from inaccurate financial information can be a sleeper issue for tenants. Ensure accurate expense management with more integrated processes and reporting. Learn More. Poor data leads to false analysis and reporting. Create greater visibility of your portfolio with real-time reporting and performance management. Learn More. The new lease accounting standard, IFRS16, has increased the demands on lease reporting. Have the hard work taken care of and stay compliant without the extra effort. Learn More. Keep track of key internal projects such as Openings, Refurbishments, Document Executions, Renewals and Maintenance with task management, progress tracking and alerts. Learn More. Centralised management of franchise agreements, franchisees, billings and documentation to enhance systems’ operations and simplify code compliance. Learn More.